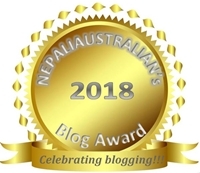 This is a guest post I wrote for , Chai- A cup of life, amazing blog I have been following for a while. Thank you so much for the opportunity and sharing the post here. It is really cold in Sydney these days. It is supposed to be autumn but it feels like winter already so I am always looking to cook warm meals for dinner. 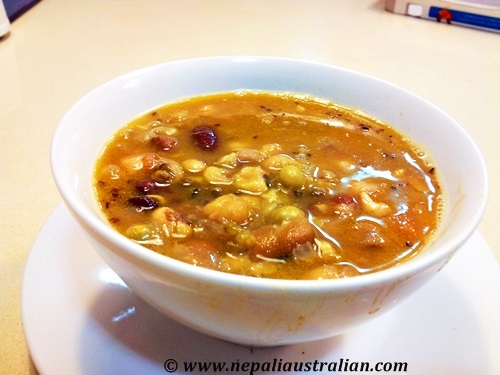 In Nepal, they have food for every season and Kwatiis especially made during rainy and cold season and is a very popular Nepali soup. 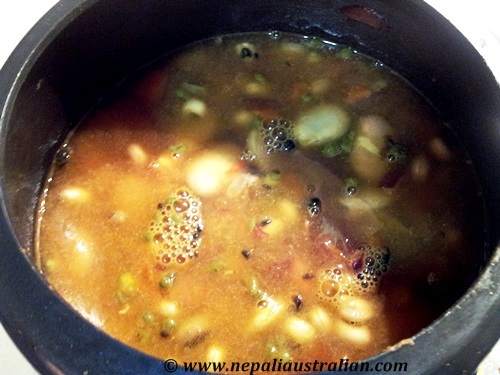 Kwati is a traditional Nepalese dish which is a thick stew of several kinds of beans. It is high in protein so it is considered good to be given to sick people to gain strength. 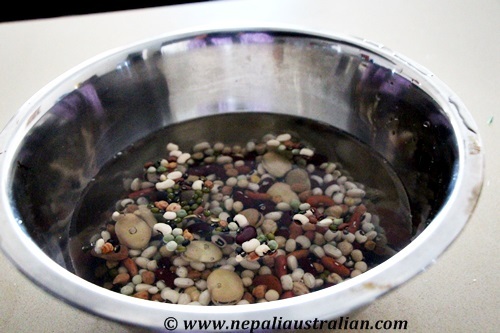 This soup is made during the festival JanaiPurnimain Nepal. 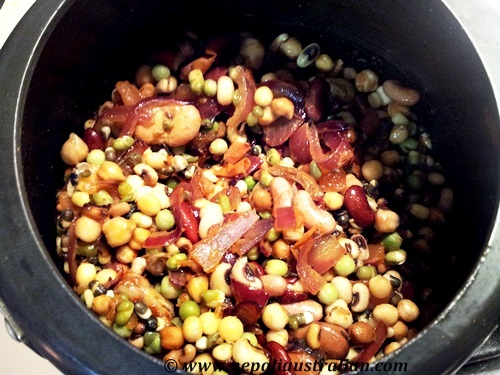 Kwati is normally a mix of 9 beans namely, black eye peas, cow peas, black lentils, chickpeas, adzuki, soybeans, mung dal, green peas and favas. But we can use any beans and pluses you have to make this soup. 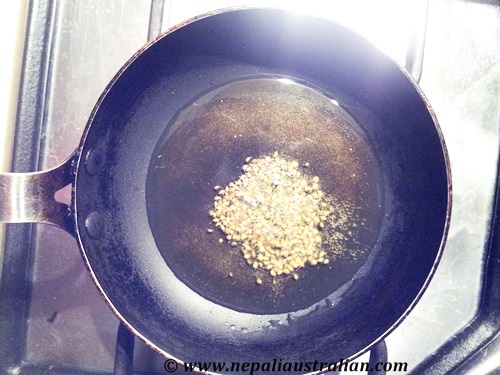 Luckily for me, I found a pre-mixedkwati pack in a Nepali grocery store. Some people like to sprout it before making it into a soup but I just soaked it overnight and made the soup without sprouting. 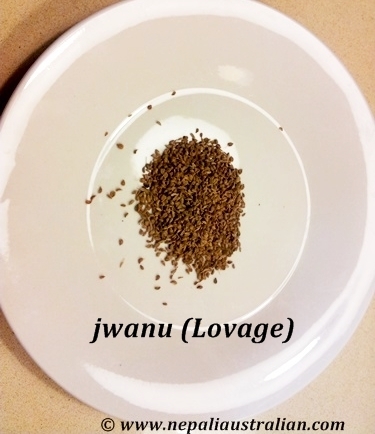 Wash and soak the Kwati mix overnight and drain the water. 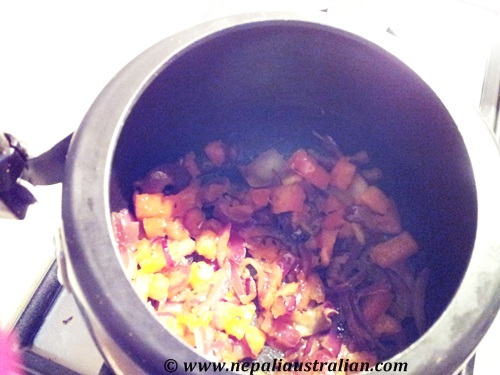 In a pressure cooker, heat oil and season with turmeric powder and bay leaf. Add the chopped onion and fry until it turns golden brown. Add chopped tomatoes and cook until the tomatoes are soft. Make them into a paste. 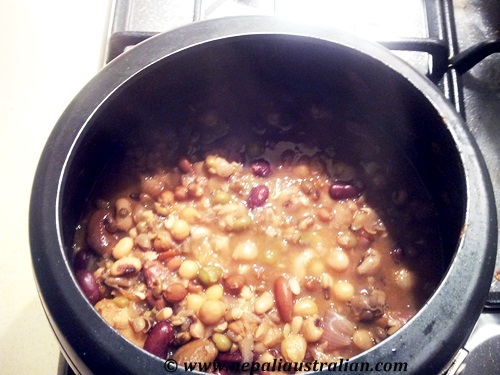 Add the soaked Kwati mix to the pressure cooker, mix well and add vegetable /chicken stock and cook until 5-7 whistles or until you can smell the beans. Let it cool in the pressure cooker before you open the lid. As there are different types of beans, test the big ones like broad beans to check if it is cooked properly. The beans must be tender on touch. If it is not cooked enough then press again. 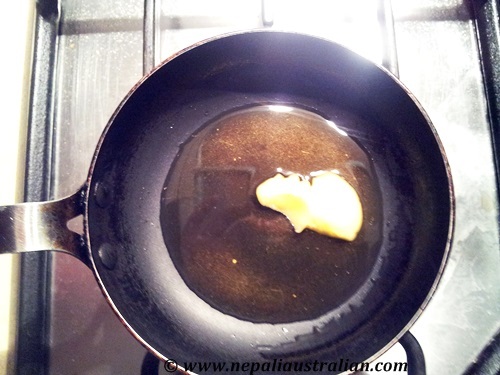 Once ghee is hot, add jwanu(lovage)and fry for 30 seconds until it is dark brown in colour. Pour this into the pressure cooker with kwati and mix well. You could add more water/vegetable /chicken stock depending upon how thick you want the soup. P.S : If you are not into vegetable soup, you could add cooked/boiled meat into the soup as well. Enjoy a tasty and healthy soup!! 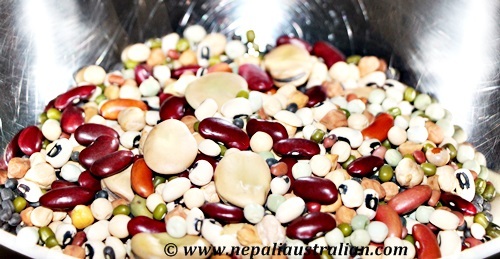 This entry was posted in Foodie, Nepal, Nepali food, Recipe and tagged adzuki, australian nepali, black lentils, chickpeas, cow peas, easy soup, favas, green peas, healthy soup, Kwati, lack eye peas, mung dal, Nepal, Nepali, nepali australian, nepali food, Nepaliaustralian, pressure cooker, soup, soybeans, vegetable soup. Bookmark the permalink. Thank you so much for this recipe! It was so yummy and easy to make. It’s my go-to recipe when it’s a cold, windy day. Thanks for a wonderful post M. Will have to try this recipe soon! Wow that is so cool! thumbs up on the recipe, I will have to try making it 🙂 thanks!